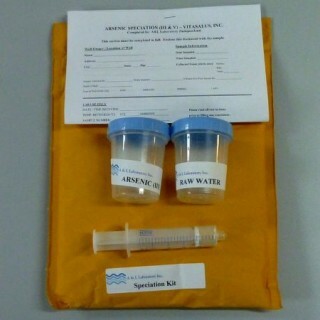 Arsenic Speciation Test Kit to determine specific amounts of Arsenite/As(III) and Arsenate/As(V) contamination in water. Arsenic Speciation Test Kit to determine specific amounts of Arsenite/As(III) and Arsenate/As(V) contamination in water. 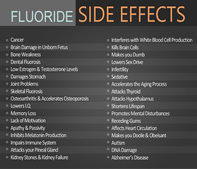 Arsenic can be present in water in two different forms (valences or oxidation states): pentavalent arsenic (known as Arsenic 5, Arsenic V, or Arsenate) and trivalent arsenic (known as Arsenic 3, Arsenic III, or Arsenite). Test kit includes syringe and container to be sent to an independent lab for testing. Kit includes all necessary postage to customer and the lab. Results will be sent from the lab to the customer and Vitasalus via email and/or fax for review.